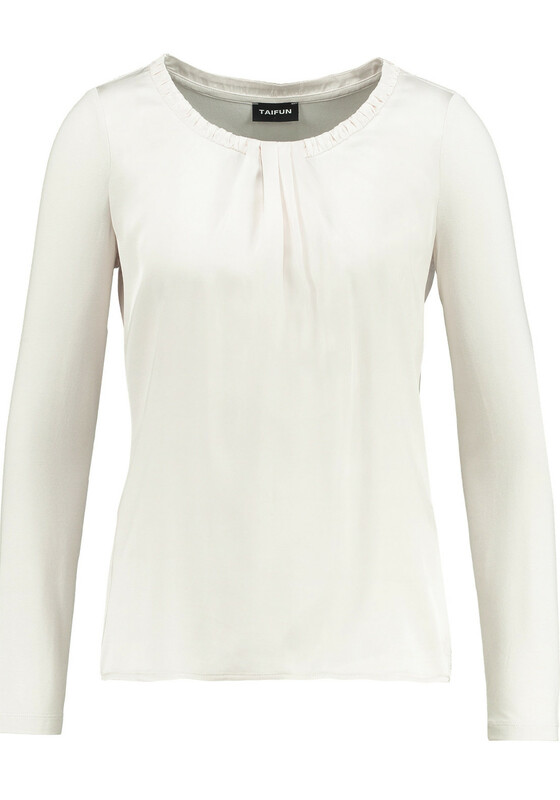 A great neutral separate for your wardrobe, this cream top would be a great choice to team with a skirt or trousers for work. 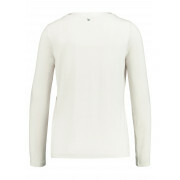 The back and sleeves are crafted from soft jersey fabric while the front is made from lightweight satin. Styled with a subtle A-line shape. 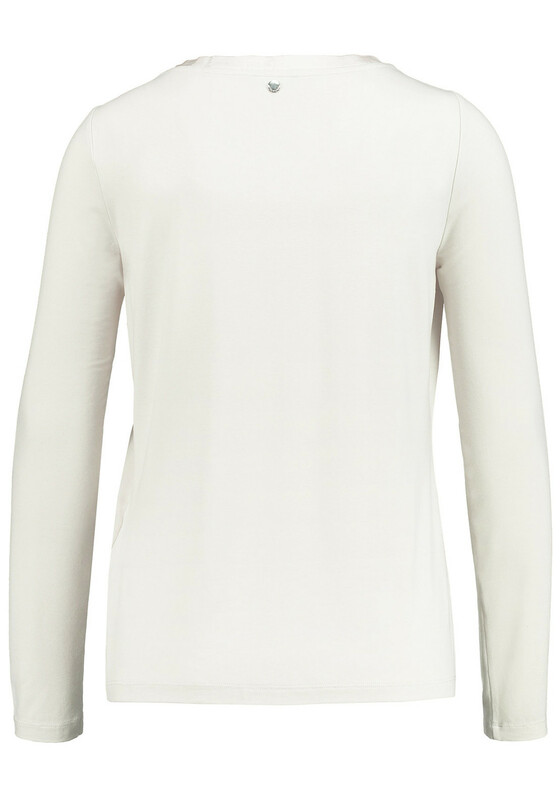 Featuring a lightly pleated trim at the round neckline.